ALLEGRA BOVERMAN/Staff photo. Gloucester Daily Times. 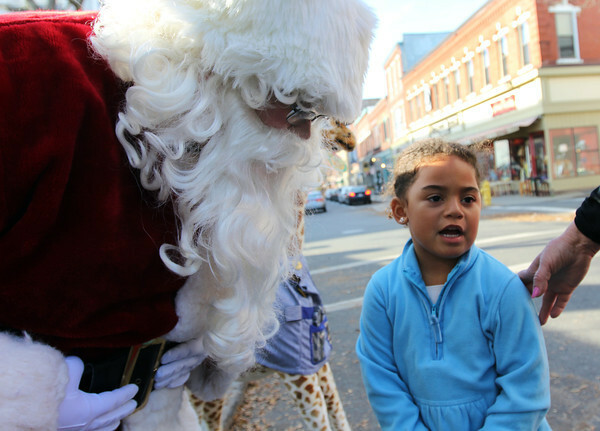 Gloucester: Marley Castillo, 4, of Gloucester, right, tells Santa Claus what she'd like for Christmas, along Main Street in Gloucester on Friday morning while shopping with her family.